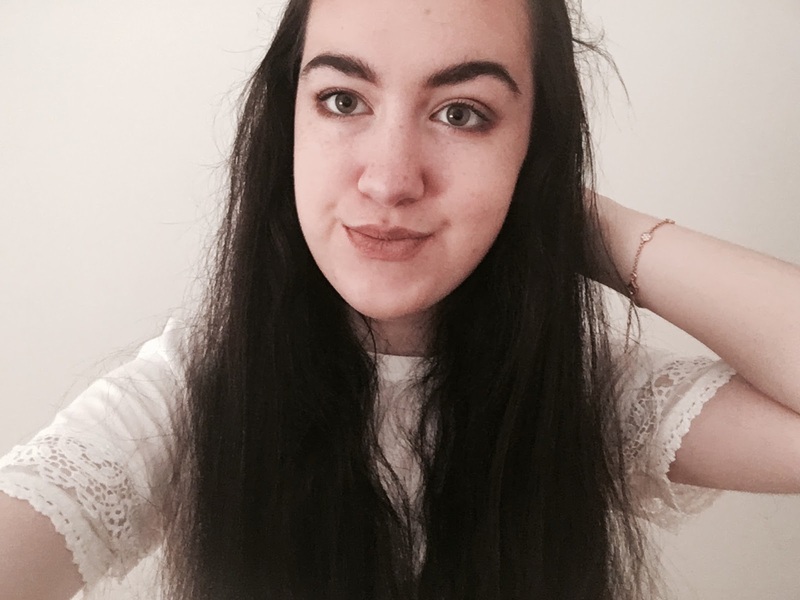 Exam season is looming; I'm currently off school for Easter which is my last break until the GCSE's begin which feels so scary! Because of this I have been beginning to revise and thought I would share some tips with you if you are beginning to prepare for your exams too. 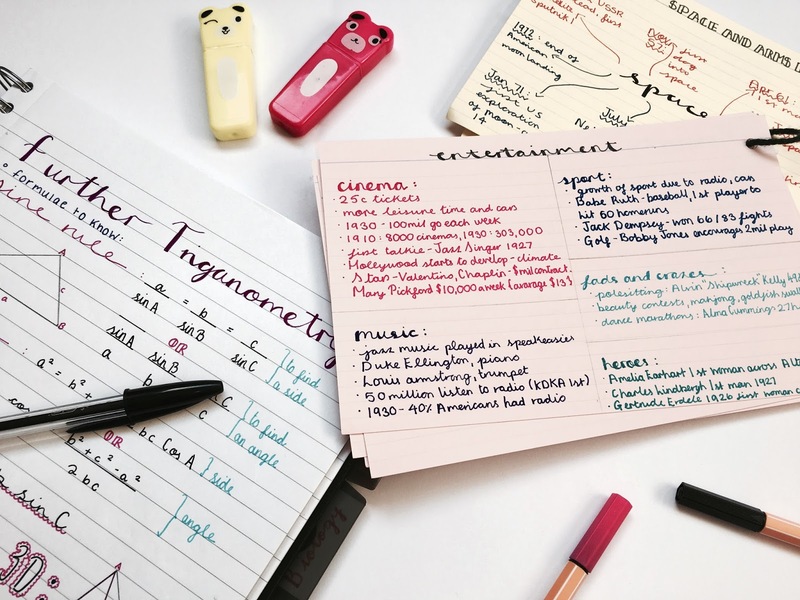 There are so many different ways to revise: mind mapping, using lots of colours, writing notes on big display sheets or smaller cards, even rewriting your book all over again can work for some people! Some things that work for me and help me to remember the information aren't effective to other people at all - I've learnt that at in my history class lately because we all have different little ways of revising, and that is okay because everyone is different! If you're not sure what works for you, try some different ways and see what helps you remember best. It can even vary between each subject. I knew that writing notes out in my Pukka Pad wasn't so effective for me because I did that for my biology mock and didn't do as well as I hoped, therefore for the actual GCSE's I have made cards instead using a different colour for each section because I remember the information better that way. Here we have some cards I made for history (which I like using the most) and a big A3 sheet I made for physics. During the Easter break, I have set up a timetable to make sure I am focused and get the amount of revision done that I want to achieve. Each lesson has a different colour (coordinated with the colours I've been using in my homework diary the past couple of years) so I can easily see at a glance what subjects I'm doing on that particular day. Make sure you schedule in breaks - I like to work for 45 minutes and break for a quarter of an hour in between, and you can also easily blank out times when you may be busy. Although setting up a timetable is very beneficial and important, don't worry if you don't stick to it to the letter. I may start a quarter of an hour later than I wanted to and finish a bit later and that is fine! Don't beat yourself up about it as long as you aren't procrastinating and get everything done you aimed to. Here is an example of my timetable for over Easter. I have split the day into five 45 minute slots and have easily blocked out the days I am away and unable to revise. I created mine on Google Sheets so I can access it on my computer, iPad and Phone easily but you could also check out getrevising.co.uk which creates a timetable for you. I tried this but preferred the flexibility of making my own. How broad you want to do this depends on what suits you; I have recently written a to-do list for each subject of what I want to get done by the end of the holidays but daily ones can also be very useful. This will help to stay on track and make sure you're getting everything you want to done, along with your timetable. However make sure you don't overload your to-do list or hardly put anything on, find a good balance of how much work you are realistically going to get done in the time you have! Some mind maps I have made for English literature. Even if you are not the most creative person, at least make an effort to make your revision notes presentable and legible. I find that if revision notes look nice I'll want to look at them more. They don't have looks like the notes you see on Tumblr and Pinterest but make them stand out to you - investing in some good quality fine lines or highlighters can be key in making your notes look more attractive. 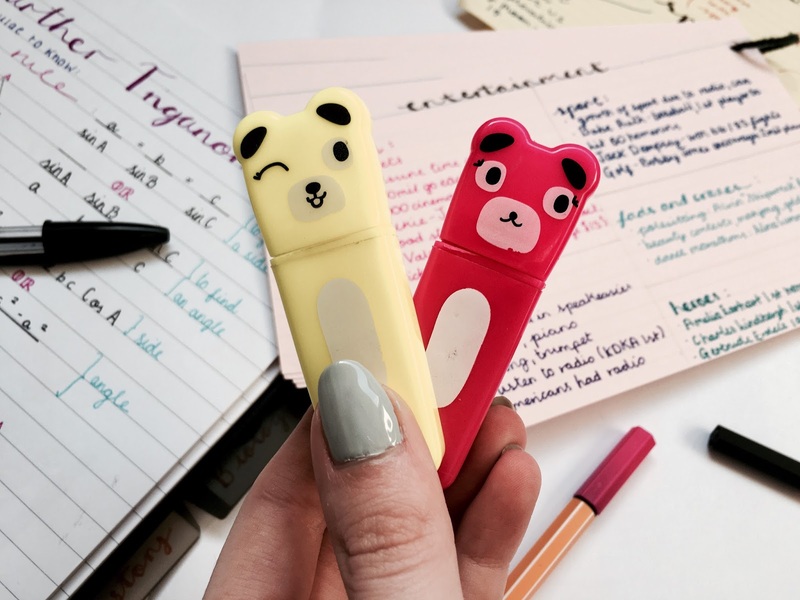 I recommend checking out Paperchase for highlighters because they are super cute! If you're obsessed with social media like I am, you could involve it into your revision and set up a Tumblr blog dedicated to your studying. 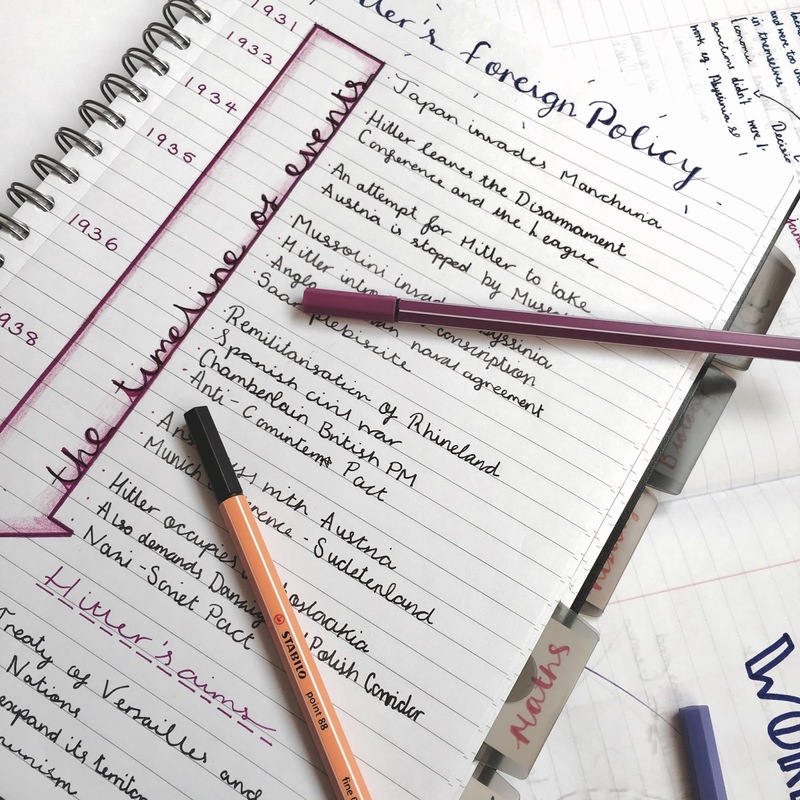 Although it's important to not make this a distraction, I find having one really useful to see how other people revise - and it's also really motivational when one of your posts gets quite a few notes! 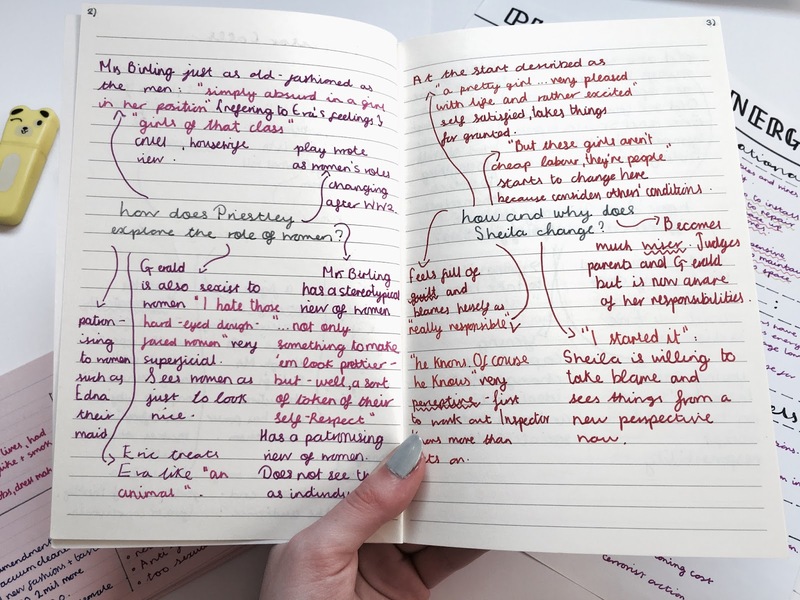 I've always been unsure about how to actually use Tumblr but I've really been enjoying it at the moment to help revision - I especially found some great resources for English Literature Revision to name a few. Mine is eringracestudies.tumblr.com so let me know if you set one up and I'll make sure to follow! Do you have any revision tips? I would love to hear them! I miss a time when I had to revise for things, my uni course is either essay writing or practical assessments. This is such a useful post, and your notes look so pretty! 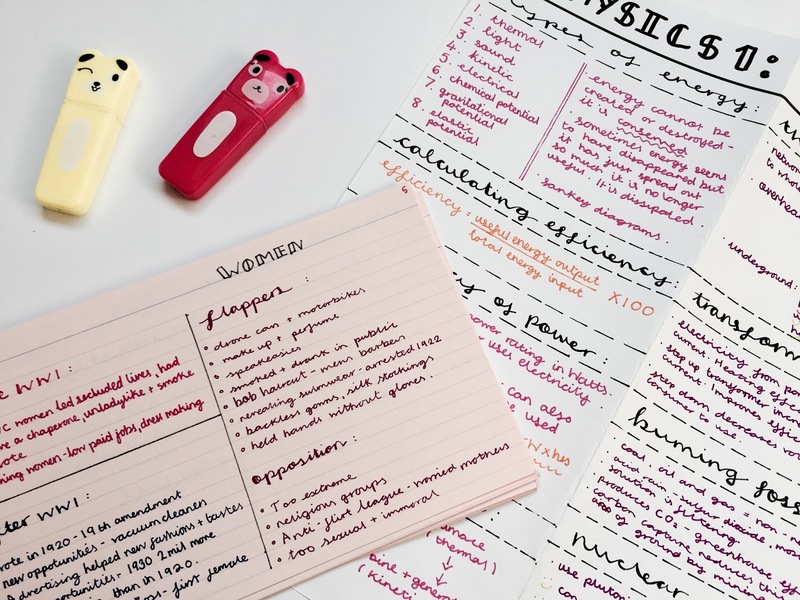 I've always been awful at revising, as I get distracted way too easily - your notes are so pretty, I think thats the way I need to go with my revision haha! An eighteen year old from North West England with too many lipsticks. Probably found watching Friends. Welcome to Everything Erin, my space on the internet to write and ramble, usually about beauty and music.